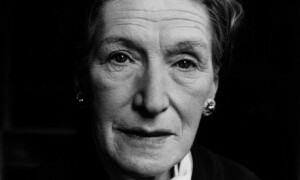 I had intended this piece to be about how brilliant Elizabeth Bowen’s notes on dialogue are, from her essay “Notes on Writing a Novel,” which you can read by signing up for free at http://www.narrativemagazine.com/issues/fall-2006/notes-writing-novel. The whole “Notes” is brilliant, but more than I can deal with here. I have used these notes to teach dialogue for decades, but I suddenly had the unpleasant feeling that maybe I had violated the Writing Teacher’s Hippocratic oath: First, do no harm. Had I been harming writers for years by giving them impossible notions a la Bowen of what dialogue must do and be? This is useful and achievable. Just like people in real life, characters in novels (depending on the characters, of course) don’t talk in complete, syntactically correct or complete sentences, nor do they always make themselves perfectly clear. The more loaded the conversation, the more intense, the less likely they are to articulate clearly. So it’s helpful to know that not only do you not have to spell everything out in dialogue, a lot of times you don’t want to. If things are working correctly, the reader will “get” the dialogue, even if things are elliptical or obtuse seeming. Keeps the reader on her toes. This I love. It’s probably all we need to know about writing dialogue. Accomplishing it is another matter. But in terms of theory, it is, indeed, brilliant. The writer can’t just let people “talk.” The dialogue has to be “pointed, intentional, relevant.” The reader will be interpreting what the characters are saying, beyond what the surface words say. They’ll be hearing tone, subtext, what isn’t said, what can’t be said, the unspoken as well as the spoken. And the writer has to be in control of all that. The writer must know, always, what the scene is trying to accomplish. If not, the characters will just run on, and the scene will lose the dynamic tension of the big picture, the “aboutness” of the novel. Usually we think of dialogue as just expressing character, but here we see how she wants us to think larger about its role. “It must also crystallize situation and advance plot.” These are fascinating concepts. She means, I think, that no scene and dialogue can be static, but must always be “doing” something in service of the greater whole. The idea of advancing plot means that what is happening now, in this scene, will lead to the next thing happening. It’s not just scene for scene’s sake, like showing instead of telling. It’s building, developing, progressing the novel. “During dialogue, characters confront one another. The confrontation is in itself an occasion. Each one of these occasions, throughout the novel, is unique. Since the last confrontation, something has changed, advanced. What is being said is the effect of something that has happened; at the same time, what is being said is in itself something happening, which will in turn, leave its effect… Dialogue is the ideal means of showing what is between the characters. It crystallizes relationships. It should, ideally, so be effective as to make analysis or explanation of relationships between characters unnecessary. That’s such a great line, about speech being what characters do to each other. But here’s where I begin to run into brilliant meets impossible. After I read these “notes” again for about the millionth time the other night, I tested them against the current novel I’m reading, State of Wonder, by Ann Patchett. I’m 170 or so pages into it, and I’m not taken with it; but I’ll withhold final judgment until I finish it. Anyway, the section I was reading when I was thinking about Bowen’s dialogue notes involves a long, slow boat ride down a river in Brazil. There is a long sequence with huge blocks of dialogue between the two main characters, Marina, who has been dispatched (from Minnesota, of all places—center of the universe) to investigate the mysterious death in the Amazon of a colleague in the medical research firm for which they both worked; and Dr. Swenson, the extremely idiosyncratic scientist who is working on a project there involving advanced fertility and whom Marina’s colleague had been sent to rein in. In this section of the novel, they are both very much “in character,” and sound like themselves, Dr. Swenson holding forth with authority and pronouncements (and speaking in syntactically perfect sentences and paragraphs), and Marina playing the somewhat cowed younger woman who is both intimidated and distrustful of Dr. Swenson. A lot of information is delivered, in dialogue, by Dr. Swenson, background information regarding jungle life, the deceased colleague, her many years on her project, etc., etc. It’s well done, necessary and relevant. But I don’t think they are “doing” anything to each other exactly, and I don’t think the dialogue really involves calculation or self-revelation, except to the extent that that is there to some extent in everything any character says, once the characterization is firm. Patchett knows these characters, what she wants to do with them at this point, and what she wants this section to accomplish: by dramatizing the trip down the river in a scene, she keeps us actively interested as we see the two women, antagonists of sorts, interacting as they feel each other out plus we get up to speed on a lot of backstory. My point is, don’t take everything Bowen says too seriously. It doesn’t apply to all dialogue. It can’t. I doubt that most successful writers have brilliant theory in mind when they write. They just recognize in their own writing what good dialogue is and what isn’t; they test it with their ear and with their sense of craft. They may not have an app in their heads that tells them that dialogue has to function—to, as Bowen says, characterize people, show what is between them and advance the story. But they have absorbed these notions somewhere and have them firmly available to them as they write and rewrite. No one is going to write a line of dialogue by thinking, Does it have calculation or self-revelation? No. It’s a peculiar thing, as is so much about writing, that it helps to know technical or theoretical stuff and then forget it when you’re actually writing. But it’s useful to be exposed to it at some point. I think this exposure can also come from reading, whether you ever know about analysis such as Bowen’s or not. Writers are often self-taught by reading good writing and absorbing what works. I happen to like theory and analysis, and so I do get a lot out of Bowen’s pithy notes—even while I recognize that achieving her ideals is pretty impossible. Still, I do think they’ve helped my writing. Here’s a part of a scene from my novel, The Answer to Your Question, about the unlikely relationship between the mother of a serial killer a la Ted Bundy, and the young, pregnant, Southern waif who imprints on Rose, the mother, at the library where they both work, and who is eventually kidnapped by the son, Ben. In this scene, Ben has escaped from jail after being arrested as a suspect in the killings of four young women in the area, and he is hiding on the balcony of Jean’s apartment, after having followed his mother there when she drove Jean home from a doctor’s appointment. Jean has fallen asleep but wakes to the feeling of danger, remembers she has left the balcony door unlocked and goes to check it to relieve her fears, sliding the door open and stepping onto the bacony, only to discover the fugitive. “I see the glow of his cigarette first, and I feel my eyes open big, to try to take in what they can’t believe they’re seeing. He’s sitting in one of the lawn chairs Jimmy bought at K-Mart, just sitting there in the dark looking out at the night. He doesn’t even turn his head to look at me. I can smell him, a kind of animal smell like he hasn’t had a bath for weeks, and there’s a fear in that sweaty smell, the smell of the chase. It smells like the odor possums put out when they’re treed by barking hounds. I always felt sorry for them, ugly though they are. He doesn’t turn when I slide open the door. I know I couldn’t possibly get the door shut and locked if he doesn’t want me to—he’d be too fast for me, and I’m afraid any sudden movement will set him off. The smell of smoke floats in the air, making me long for a cig. I’ve given them up for the critter. I think of trying to ease back into the apartment, or even of jumping over the rail, but it’s two stories down. How did he get up here? He must of climbed up one of the trees. How did he know where I lived? He followed us. I know these things clearly, from some smart part of my brain. ‘Do you smoke?’ he says into the dark. You’d expect him to have manners, being Mrs. D’s son and all. ‘It’s okay,’ I say and my voice comes out clotted. ‘Out here,’ I can’t help adding. We hang there in silence for a few minutes. I can’t move, and my legs feel the way they did when I saw the snake with Ganny, like they’ve turned to water, run out from under me. He snubs out the cigarette on the cement floor of the balcony, and now that my eyes have adjusted more I can see that he’s smaller than I had imagined, skinny-like. ‘Are you sick?’ he asks. I don’t answer, but with my mind so electrified I can read behind his words. Dr. Dunn’s. He followed us from there. I think about saying I’ll call the police, but I know neither of us believes that. I don’t want to risk trying to speak again, to give away how afraid I am. He could stop me if he wants, leap up and put his hand over my mouth, stuff a scream back down my throat. For all I know he has a knife. He used a knife on those others. But I’m not like them. That I know for sure. I know what they didn’t know. About Ben, his evil ways. ‘We do have a problem here, don’t we,’ Ben says at last. His voice is low, as if confiding in me. But he’s right, we do have a problem. He’s the problem. Neither of us speaks for a long time. I hope that the scene does establish Ben’s calculation, as he tries to disarm Jean by asking for permission to smoke and even joking with her a bit (“Well, you’re the boss.”) And she is drawn in when she grants permission—self-revelation? I dunno! I just know that I was living the scene when I wrote it. I knew the characters and what was going on that I wanted to dramatize, but I just let them lose and watched what happened. I tried to inhabit the scene in my imagination as fully as I could, and theory be damned! Wow, Paulette – I was living that scene when I read it! I was in Jean's head, reviewing all her bad options and I was frightened. There was certainly calculation going on there, the plot was moving, and the cool, cunning mind of the psychopath chilled me in a few short sentences. Thank-you for this wonderful blog. It's a gift. I'll be testing my own dialog against this standard as I edit. Joan, thanks for writing. I appreciate hearing your thoughts and getting your support. How's your novel coming? Keep me posted! Such a beautiful, spooky, powerful scene. I think the smells and other tactile details made me feel it. Good fiction is peculiar indeed! Thanks for writing, Richard. That's good about the smells–I hadn't even thought of that in a long time, kinda creative writing 101, but now that you mention it, I realize there ARE smells in there and that maybe they do help make it vivid. Your note helps ME re-smell it!